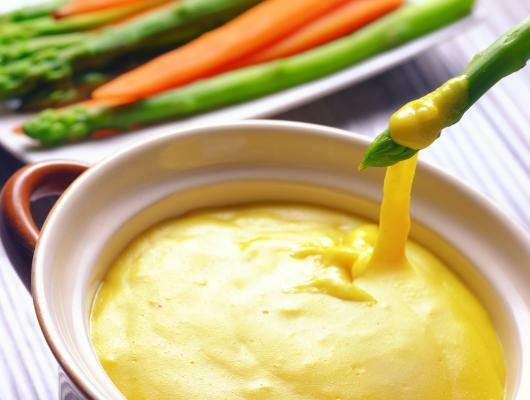 300g/10.5oz mixed vegetables for dipping (asparagus, carrots, broccoli…), cut into sticks. Blanch the vegetables for a minute in boiling water. Transfer to an ice bath for 2 minutes. Drain. Boil cashews for 15 minutes. Process cashews, yeast, vinegar, tapioca starch, garlic powder, turmeric powder, salt and water in a blender until smooth. Transfer puree into a saucepot and boil for 3-5 minutes, stirring constantly. Mixture will lump at first. Keep stirring unti smooth. 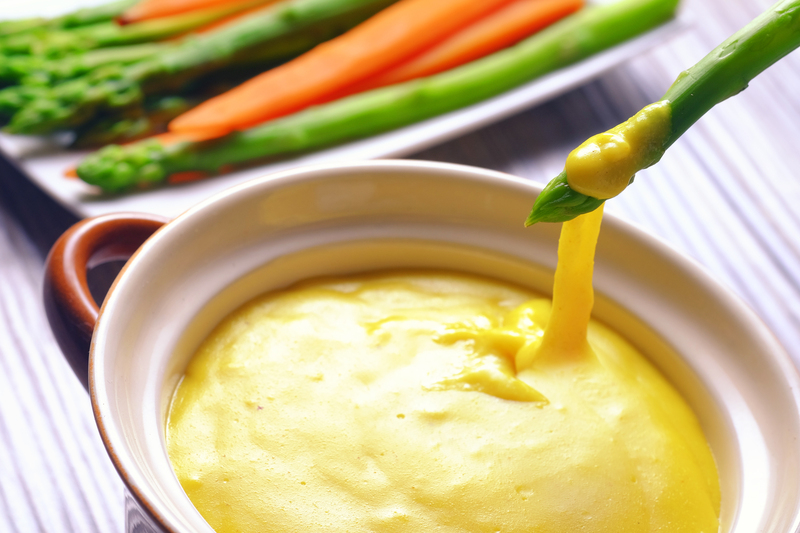 Serve “vegan cheese” to a fondue pot and serve with vegetable sticks. This recipe is ideal for any get together but maybe bear it in mind for your New Year’s Eve party, easy to make and so healthy too – just in time for those resolutions! Cashews may be small but they have huge benefits. Studies have shown that eating a fistful of nuts may reduce the risk of heart disease, cashews contain powerful antioxidants called Lutein and Zeaxanthin which are absorbed directly by our retina and help prevent age related macular degeneration, they are packed with omega-3 fatty acids, they have a great percentage of dietary fibres and have many more positives. We know one New Year’s resolution you’re going to make!